Washington Monument | Top Places to See in Washington, D.C. The Washington Monument is both the world’s tallest stone structure, and the world’s tallest obelisk. And at 555 feet tall, it was also the world’s tallest building when construction was finished in 1884, holding this title until the Eiffel Tower was completed five years later. The Washington Monument is due east of the Reflecting Pool and the Lincoln Memorial. While Washington was yet alive, and even more so after his death, various people called for a monument in his honor, because of his great service in the Revolutionary War, and the office he held as the first President of the United States. Eventually, after deliberation, opposition, and other setbacks, construction was begun in 1848. In 1854 funding ran out, which, combined with other problems, delayed further progress for some time. Finally, in 1884, construction was finished, with the placing of the aluminum apex. On October 9th, 1888, the monument was finally opened to the public. On August 23rd, 2011, the Washington Monument was damaged as a result of a Virginia earthquake, and subsequently closed to the public. The damage was not significant enough to cause major structural problems, but some cracking did occur, and water leaked into the tower from hurricane Irene a few days later. Repairs have been ongoing, and the monument is expected to open at some point during 2014. 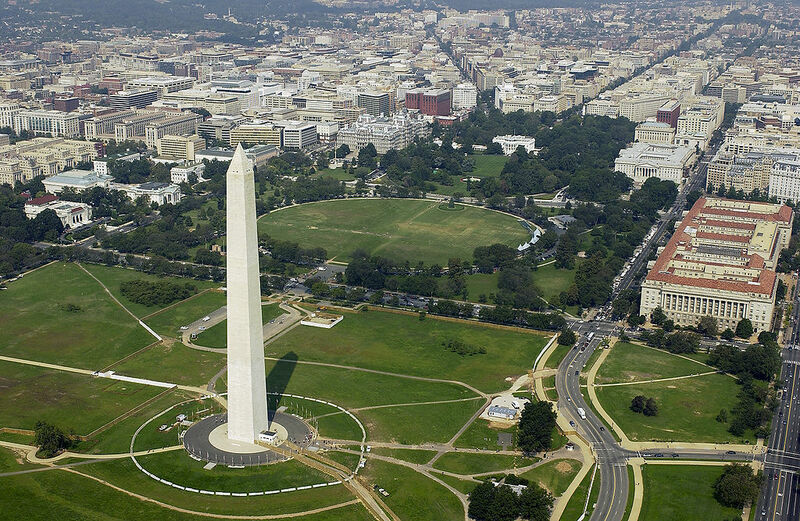 As of January 2014, the Washington Monument is still closed. You can see the Washington Monument any day you like, but to go inside you’ll have to reserve free tickets, available at the Washington Monument Lodge, or online. Tickets sell out fast. For more info, click here. The monument is open every day of the year except for July 4th, and December 25th. For hours, click here. To learn more about the Washington Monument’s history, read this Wikipedia page, and here for the national park website.